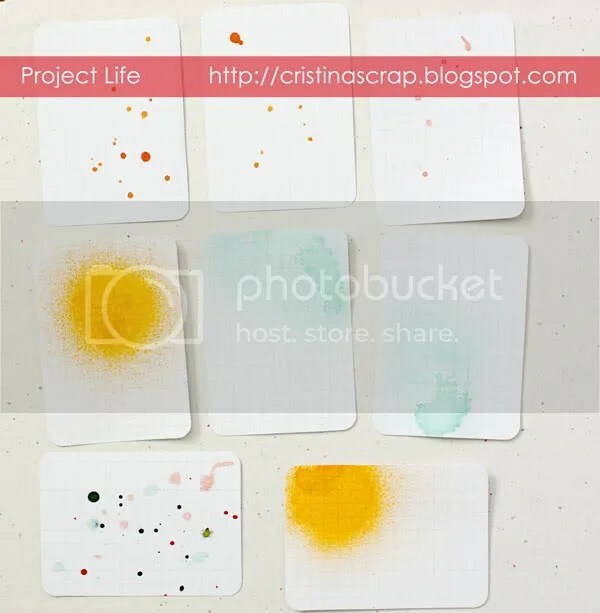 This year I am doing Project Life, a concept started by Becky Higgins. It started out as a paper album, but there is a digital version too. You can use it for whatever you wish, but the common use is to document the everyday life. 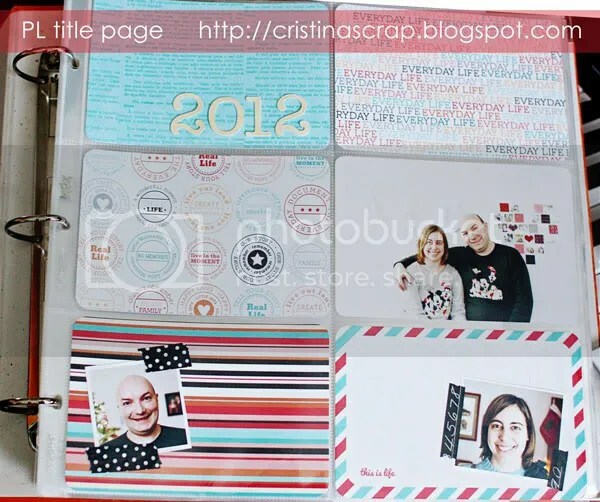 It consists of a binder with plastic page protectors with inserts of different size, in which you can slip a photo or a journaling card. For the past year or so, I’ve seen several examples of Project Life (one name for all: Ali Edwards) but I wasn’t in love. Then one of my favorite digi designers, Lili of Designs by Lili, was chosen to design one of the two new kits, and I started paying closer attention to the PL world. I soon realized that making a physical album had one great advantage over a digital P365: you can include memorabilia. So I decided to jump on the PL wagon this year. I bought a bunch of goodies: the Clementine kit and binder (designed by Lili), the big variety pack of plastic page protectors, a pack of G design, a pack of 6″x12″ protectors, a pack of big envelopes, and a pack of blank journaling cards. I plan to treat it pretty much as I did my digital P365 album – a day to day storytelling. When I first got my binder and the big protector pages, I was a bit a lot scared at the size of the thing – I am so NOT used to 12″x12″! But then I decided that instead of being afraid to fill this album, I will treat it as the opportunity to stretch my creativity and try something new. Having the small inserts instead of a big 12×12 canvas is also going to help me a lot. There is so much inspiration out there (thank you, Pinterest! ), and I am excited to embark on this journey! I have done my title page. Since I do my weeks Monday through Sunday, and this year started on a Sunday, I decided to use my Jan. 1st picture as part of the title page. Other than that, I used cards from the Clementine kit, paper tape, and some letters cut out with the Silhouette. Very simple. Taking a picture of the spread was not an easy task – the reflections from the plastic were so annoying! I can see this as being a major nuisance throughout the year. Oh, by the way, have you ever wondered what happens if you print on the wrong side of photo paper? This! I have also printed out some goodies that are coming out this Friday in the January BYOC at The Lilypad, so if you’re considering Project Life/P365/P52 this year – be it digi or hybrid – keep an eye out for the new releases! Cool! Looking great so far, it's oddly exciting, this PL business, isn't it?